When the Philadelphia Flyers announced on Thursday that Zac Rinaldo would be out for six weeks with a left high-ankle sprain, there was a mixed bag of emotions from the fans. Everything from, “Big deal, he’s only a fourth liner who takes too many penalties” to, “Losing our biggest heart on the team hurts,” was voiced by the fans on social media Thursday afternoon. When speaking about someone who is the epitome of Jekyll and Hyde, it’s never easy to gauge just how valuable he is to his team. There have been far too many times when Rinaldo went on to make a boneheaded play that resulted in a penalty, yet his discipline (or lack thereof) has been both his strength and weakness. Due to the fact that he skates around the ice without a care in the world, he has become one of the most feared players in the league. While he will always be a player who spends more time than someone should in the penalty box, what Rinaldo brings to the Flyers outweighs his lack of discipline. When the Flyers were down in the dumps at the start of the season, the one player on the team who gave it his all every game was Rinaldo. His show of heart is as good as any player in the league. For someone who records nearly no offensive statistics – he scored his first goal of the year earlier this week against Montreal – Rinaldo’s intensity is what makes him such a valuable asset. 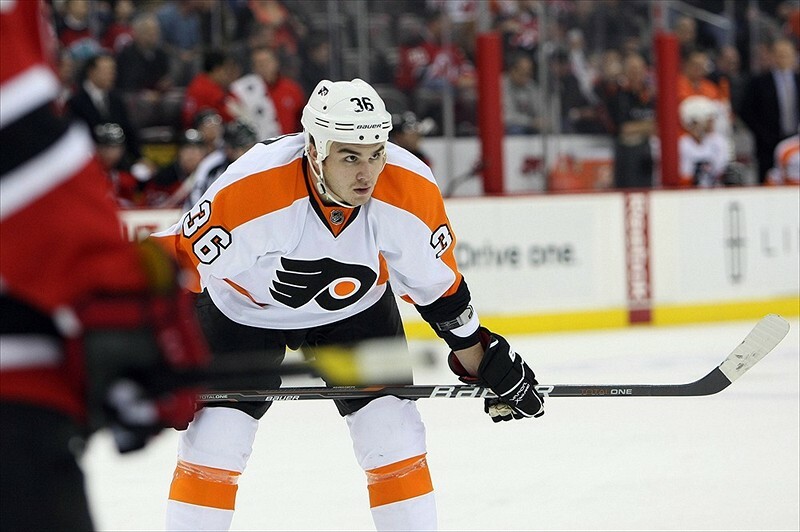 Despite only playing a little more than seven minutes per game, Rinaldo makes the most of it. While registering little offensive production, the winger ranks in the top ten with 135 hits. He has honed his aggression to become a solid forechecker, oftentimes chasing the puck around the opposing team’s offensive zone while throwing his body around whenever he can. These scenarios have gone on to be dubbed by Flyers fans as “Rinaldo Runs.” It may not be pretty, it may not show up on the stat sheet, but his presence is definitely felt on the ice. That mentality is what makes him a fan-favorite and is what has led him to seeing a more active role on his club. Stats, specifically goals, assists and points, aren’t the only categories that determine how valuable a player is to his team. More times than not, it’s the things away from the puck that really show reliable a skater is to his organization. A fourth-liner, yes, but Rinaldo is more than that to the Flyers. He’s the guy who goes into the boards with a purpose. The skater who flies around the ice to disrupt play and catch someone off-guard. He’s the teammate who has the back of every player sporting orange and black. There’s no true way to judge the importance of Rinaldo to the Flyers. Whether you side with this article or represent the other half that believes he’s nothing more than a fourth-line energy player, we all can agree that his absence will certainly be felt. Losing an energy player and someone who gives it 100% every shift will definitely not go unnoticed.